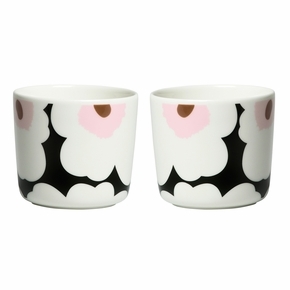 MEASUREMENTS: 3-3/4" H x 3" Diameter 10 x 8 cm). 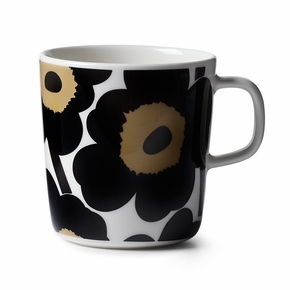 Holds: 8.5 oz. 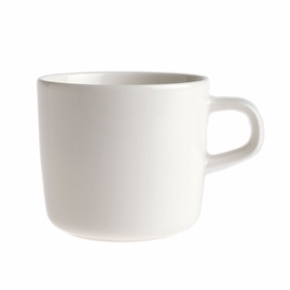 or (2.5 dl or. 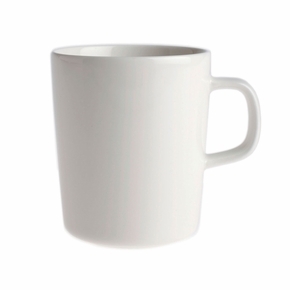 0.25 l). 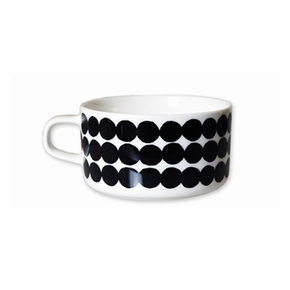 MEASUREMENTS: 4" H x 3-1/2" Diameter (10 x 9 cm). 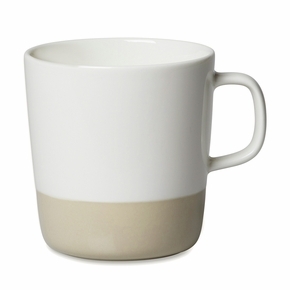 Holds 13.5 oz (4 dl). 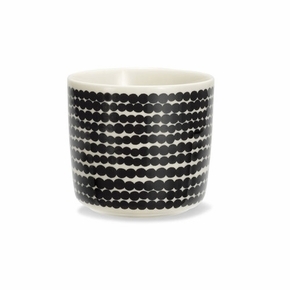 MEASUREMENTS: 3-3/4" H x 3" Diameter (9.5 x 7.5 cm). 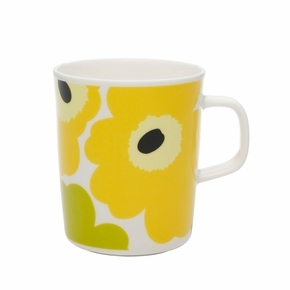 Holds: 8.5 oz (25 cl). 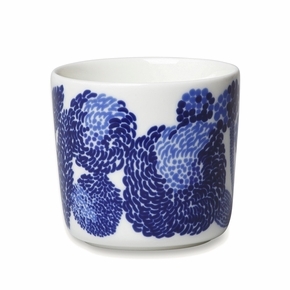 MEASUREMENTS: 2-3/4" H x 3" Diameter (7 x 8 cm). 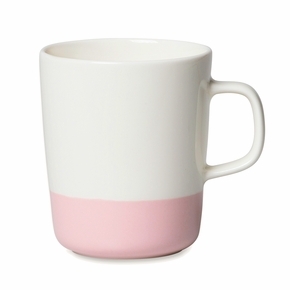 Holds 6.75 oz (0.2 L). 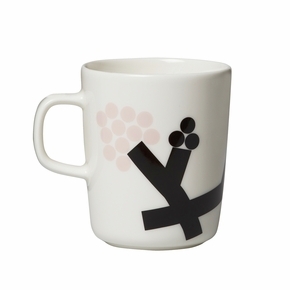 MEASUREMENTS: 4" H X 3-1/2" Diameter (10 x 9 cm). 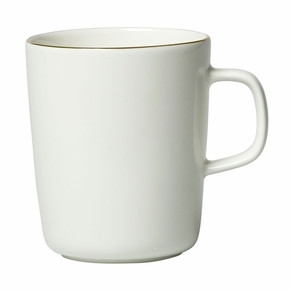 Holds: 13-1/2 oz (4 dl). 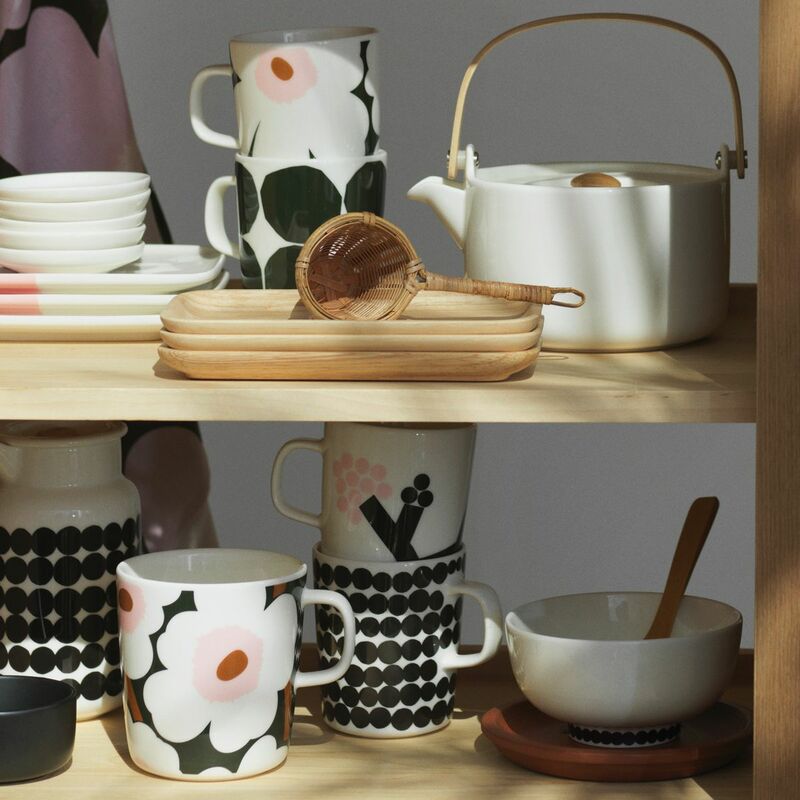 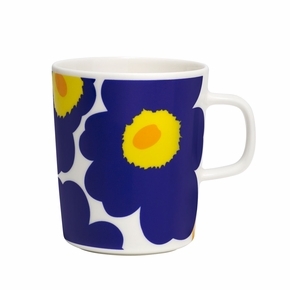 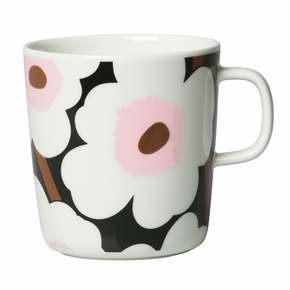 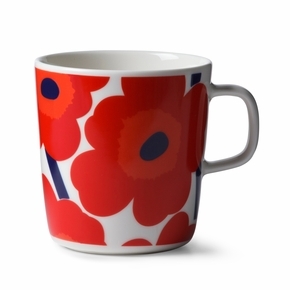 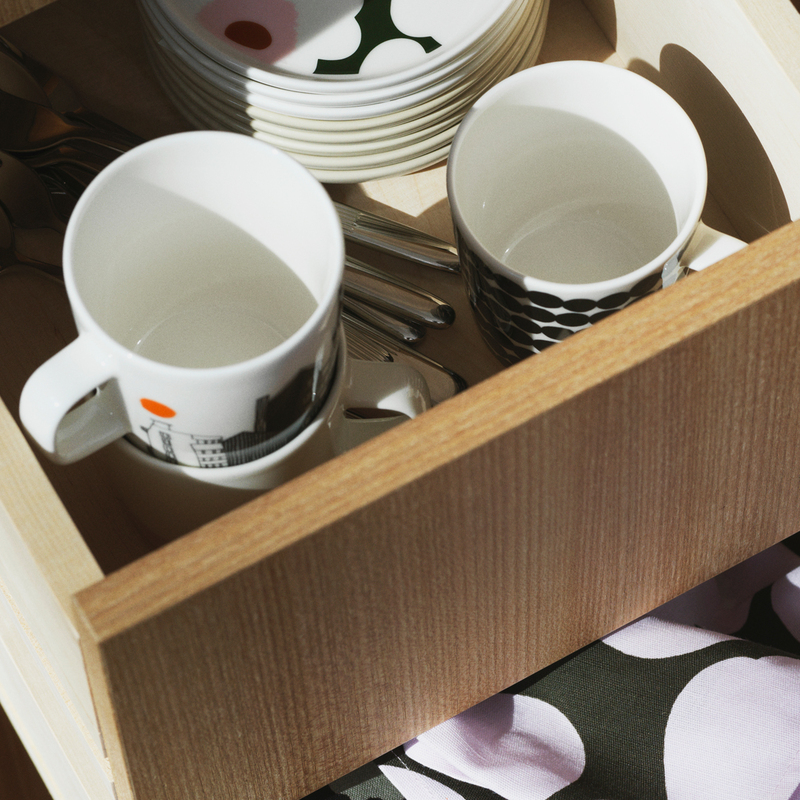 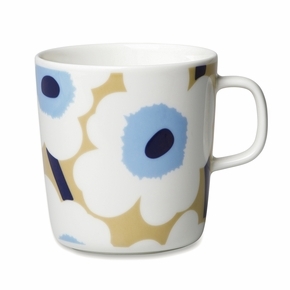 More about Marimekko Mugs & Cups Cherish morning coffee or afternoon tea breaks even more when you can spend it in company of your favorite Marimekko pattern. 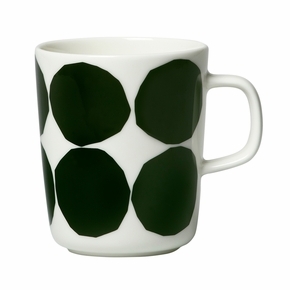 Continuing classic and the freshest Finnish designs adorn designer Sami Ruotsalainen's simply shaped mug. 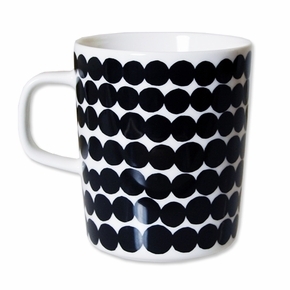 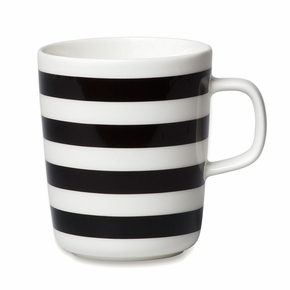 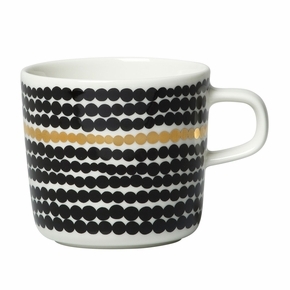 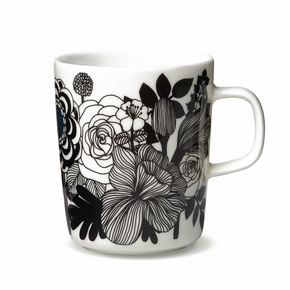 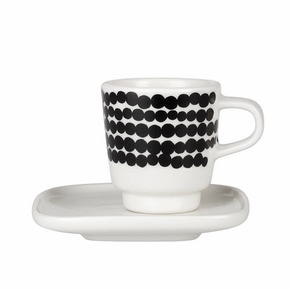 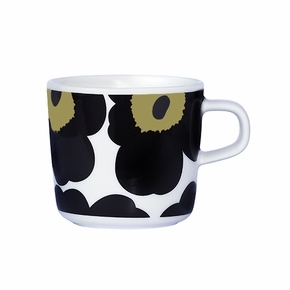 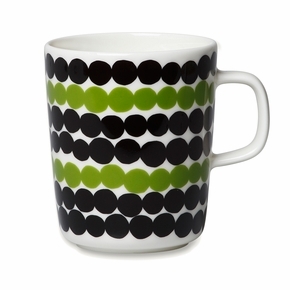 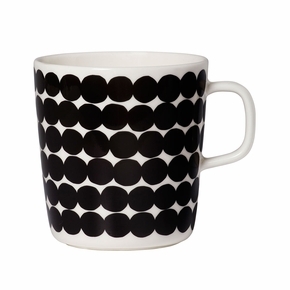 Made from vitreous porcelain, Marimekko mugs and cups are microwave, oven, dishwasher and freezer safe you can sip from your new favorite mug everyday. 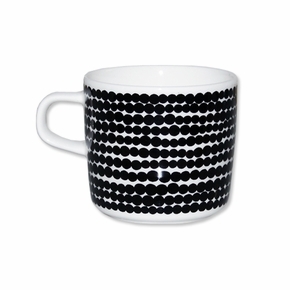 Whether you need a huge cup of joe or a small espresso mug, the variety of sizes and styles will suit all warm beverage lovers. 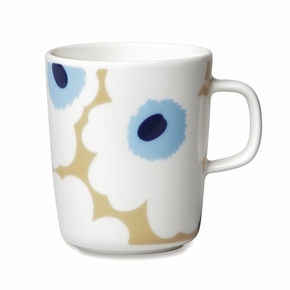 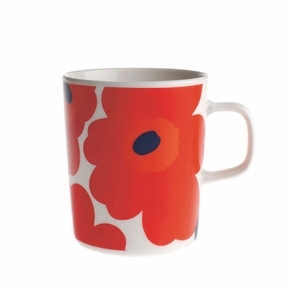 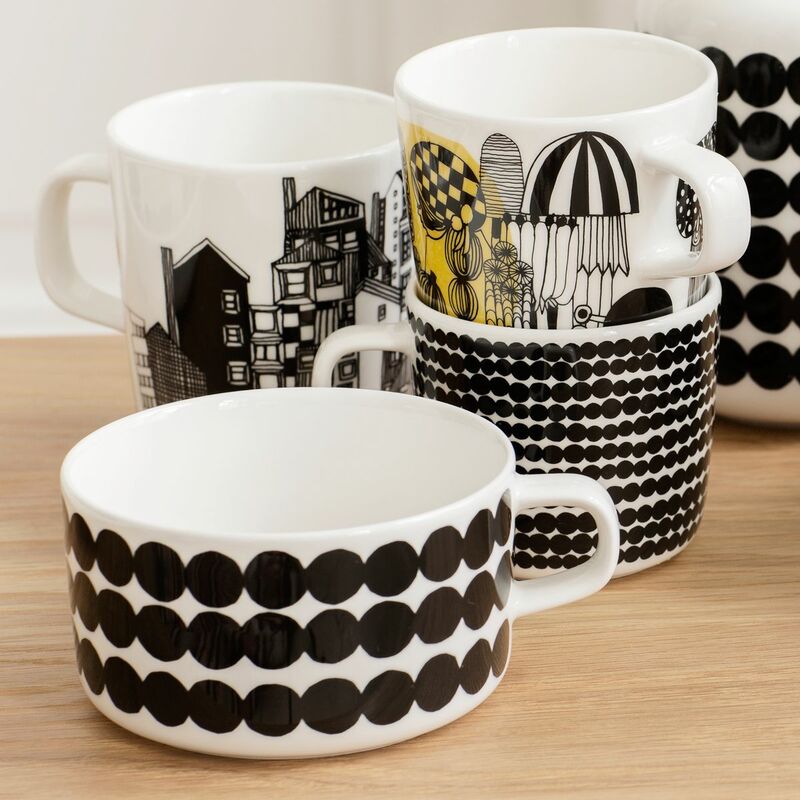 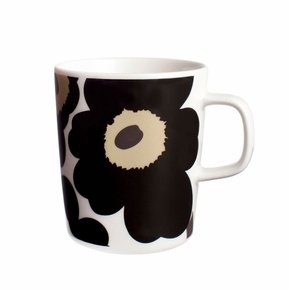 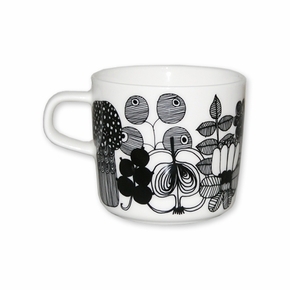 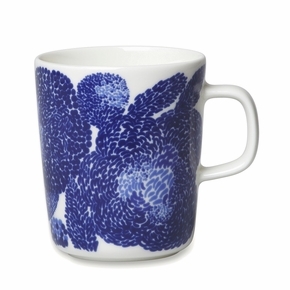 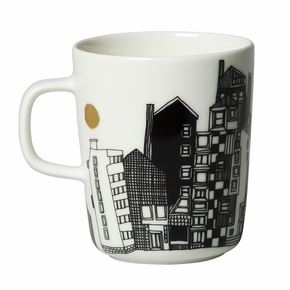 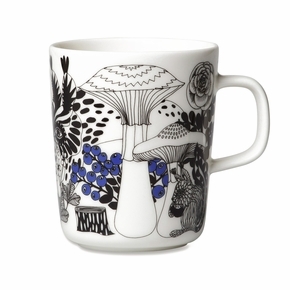 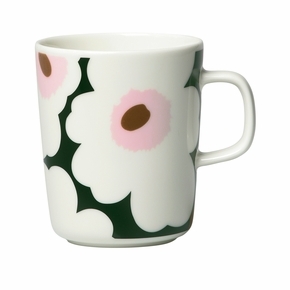 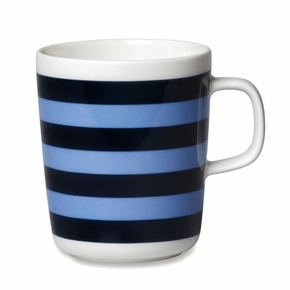 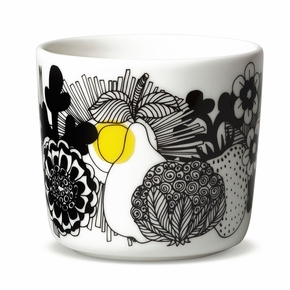 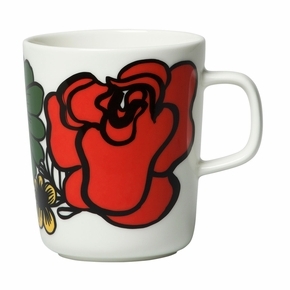 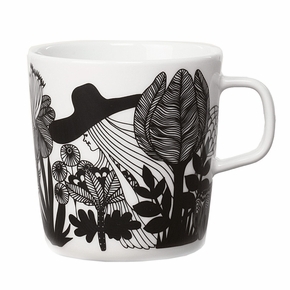 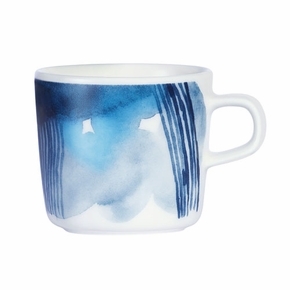 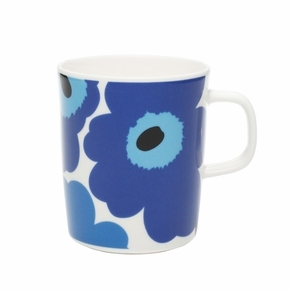 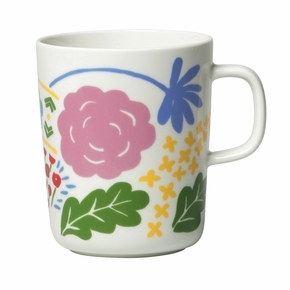 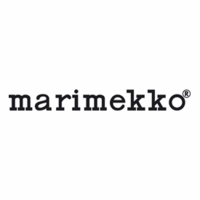 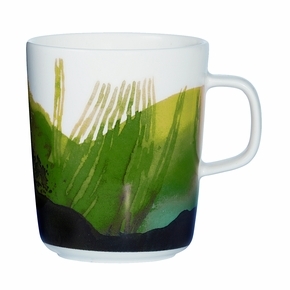 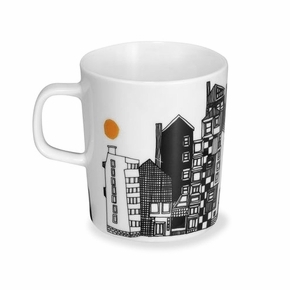 Marimekko mugs and cups make wonderful gifts that are both practical and beautiful.While some Marimekko mugs are part of a cohesive dinnerware collection, others stand alone as fun accents to a set or a new solo addition to the cupboard. 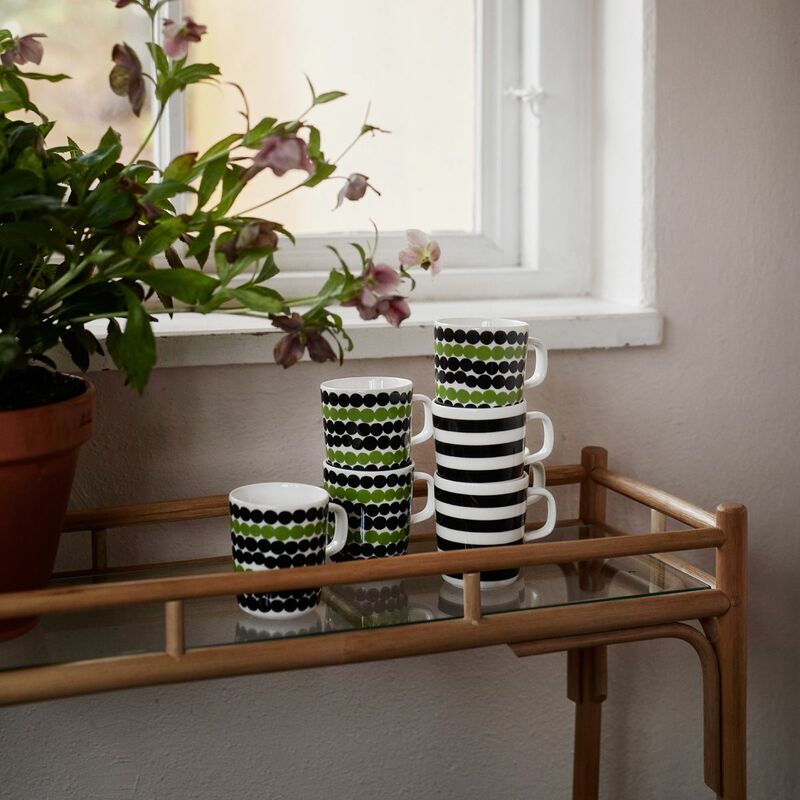 This allows for endless mixing and matching possibilites and the opportunity to build a collection of cups and mugs to your breakfast bar for every occasion.